The reviewer applied the terms involved to exclude behavioral inheritance mechanisms. The extent of what is “epigenetic inheritance” seemed to be lost in the process. If the experimental subjects had no more control over their behavioral stress-response effects than they had over their DNA methylation, histone modification, or microRNA stress-response effects, then why was such behavior not included in the “epigenetic mechanisms” term? How do behavioral inheritance mechanisms fall outside the “true epigenetic inheritance” term when behavioral stress-response effects are shown to be reliably transmitted generation after generation? Wouldn’t the cessation of behavioral inheritance mechanisms confirm their status by falsifiability as was similarly done with studies such as the 1995 Adoption reverses the long-term impairment in glucocorticoid feedback induced by prenatal stress? “HF [high fat] diet leads to persistent alterations of chromatin accessibility that are partially mediated by transcription factors and histone post-translational modifications. These chromatin alterations are furthermore strain specific, indicating a genetic component to the response. A set of persistently up-regulated genes enriched for mitochondrial genes was present only with diet regimen 3 subjects. Little overlap with the first strain in the set of genes that changed expression. The study didn’t suggest any specific human applicability. The study could have benefited from preregistration using an approach such as Registered Reports. As it was, the study gave the impression of a fishing expedition. For example, the initial subjects were 24 women ages 18-27 and 24 women ages 61-78. The barbell shape of the subjects’ age distribution wouldn’t make sense if the researchers knew they were going to later use the epigenetic clock method. and provided further details in “The age correlation in a data set is determined by the standard deviation of age” section. A second round of subjects were recruited, 60 women aged 20-79, “that also included intermediate ages.” No discrete numbers were provided, but from eyeballing Figure S1 in the supplementary material, the ages of the second group appeared to be evenly distributed. “We observed a significant age-related hypermethylation of CpG island-associated probes. This effect was strongly enriched during two specific age windows, at 40–45 and 50–55 years. The study didn’t state that the second group of subjects were screened for menopause, or for use of hormone therapies or skin creams. If the ages of the second group of subjects were evenly distributed, 6 of the 108 subjects would be ages 50-55. It wasn’t “reasonable to link” a small number of subjects to conditions for which they hadn’t been screened. 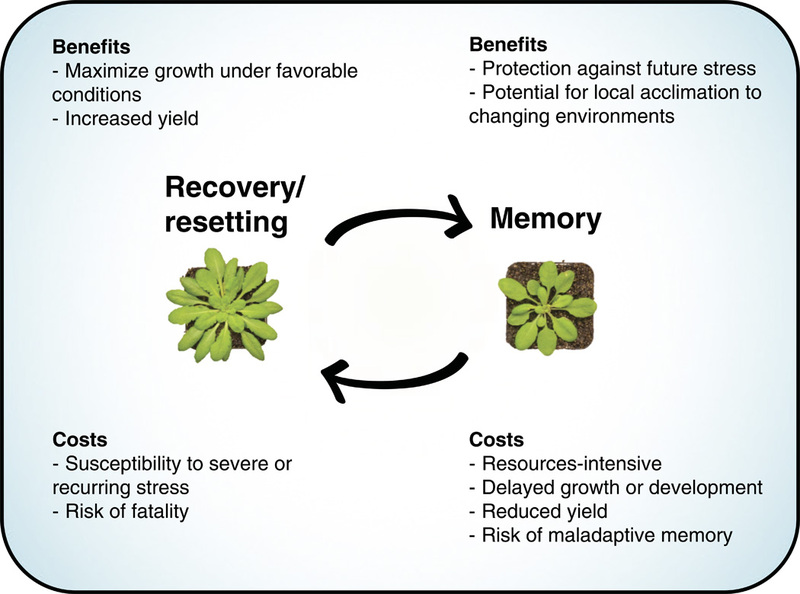 “Plants are adept at rapidly acclimating to stressful conditions and are able to further fortify their defenses by retaining memories of stress to enable stronger or more rapid responses should an environmental perturbation recur. “The majority of DNA methylation analyses performed in plants to date have focused on Arabidopsis, despite being relatively depleted of TEs [transposable elements] (15–20% of the genome) and being poorly methylated compared to other plant genomes. So the reviewers judging “memory, in particular epigenetic memory” to be “a relatively rare event” probably had more to do with study designs rather than what actually occurs in nature. “Is there a file drawer problem in intranasal oxytocin research? We submitted several studies yielding null-findings to different journals but they were rejected time and time again. See Testing the null hypothesis of oxytocin’s effects in humans for more on the topic.